In today’s post we go over some leaking roofs signs. Procrastination is a homeowner’s biggest enemy. Certain warning signs need immediate attention. If they are ignored, the problem usually gets worse and consequently more expensive to fix. Our experts here at American Standard Roofing have come up with a list of 7 warning signs of leaking roofs that need immediate attention. Taking care of them sooner will help lessening the home repair costs especially for your roof. 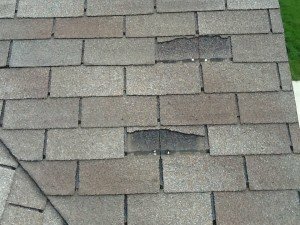 If you spot a missing shingle, that is one of the important leaking roofs signs. 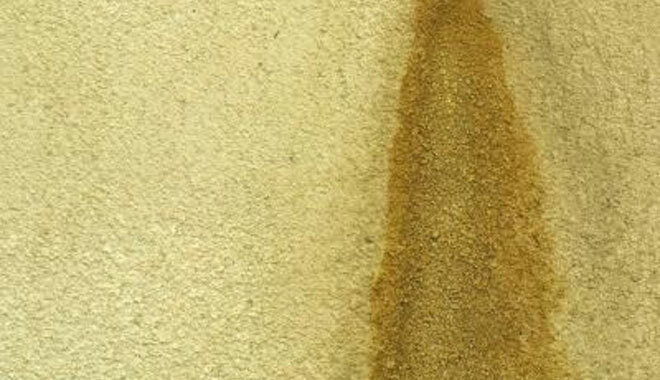 A missing shingle might be indicative of a damaged sealant strip under the shingle. It can also point to a critter on your roof. A furry animal running over your roof can be responsible for loose or missing shingles. Our expert roofers here at American Standard Roofing recommend removing any tree branches or modes of access for these animal onto the roof. If shingles become old and brittle, the sealant underneath them that holds them in place fails. Water can leak into the house if shingles are missing or loose. If you see missing shingles, the roof needs immediate attention. This is one of the biggest signs of leaking roofs. 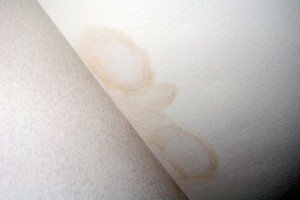 A water spot shows that roof has a leak but it can be tricky to pin point the leak’s location. Our experts point out that a small leak is much harder to spot than a big one. The reason is because if there are only a couple of drips it’s hard to locate than a full-on bigger leak. water does not drip straight down. It trickles along the roofing panels before dropping on your insulation. This is when you see water marks on your ceilings. The best way to go about in this situation is to enroll the help of a professional roofing expert. A light spot on the roof could be condensation from plumbing or windows. 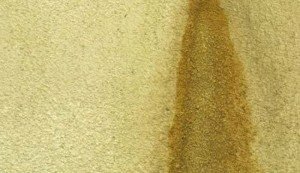 But if this water spot appears only after rainfall, or increases in size and color, it definitely shows signs of leaking roofs. Water spots and leak signs on the outside walls is a sign that the step flashing is damaged, rusted or loose. What is a step flashing? In layman terms, this is what connects the roof and the wall. This type of leak is very similar to water spots on the ceilings, as explained above. If the damage appears and gets worse after rains, the problem is with a bad step flashing. Step flashing replacement is not a a very easy task as it has to be integrated properly with the roof and the siding. Our experts suggest hiring a professional roofing service to install these. What you do not want is two different sidings joined together and have a gap in between for water to seep through. We recommend keeping an eye for this one of the leaking roofs signs. This is a clear indication of leaking roofs signs. 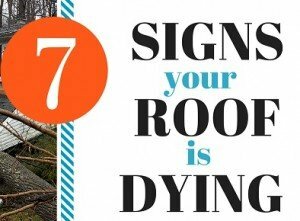 This shows that shingles on the roof are disintegrating and their lifespan might be over. 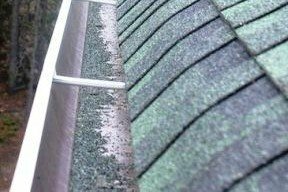 Our professional roofers here suggest that a little bit of granules collecting in the gutters is not a big concern. However, if homeowners see a lot of granules after a rainfall, check your shingles. Balding shingles without granules is a sign that you need new shingles. This is because granules protect the roof from sun’s UV rays. Once there are no granules, the shingles become exposed to extreme temperatures. 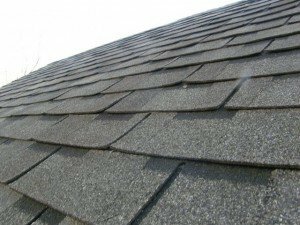 This makes the shingles brittle and more open to exposure. Losing the granules simply means shingles are aging. Before deciding to get new roofing shingles however, our experts advise to check if you’re shingles are still under warranty. That might save homeowners a lot of money. 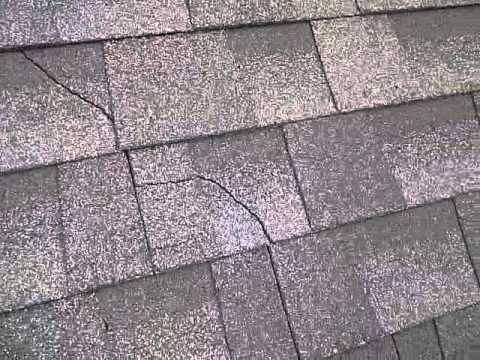 Cracks in shingles is also another leaking roofs signs. It is a good indication that shingles have reached their lifetime. If you see balding shingles on your roof with no granules, that means they need to be replaced. If you didn’t see the granules washing away but are now seeing cracks, it means the same thing. Time to replaces shingles. Shingles crack because they have been exposed to direct sunlight and extreme temperatures. It is a good idea for homeowners to check if their shingles are still under warranty. If they are, it can end up saving money for the homeowner. Cupping in shingles is more than likely due to improper ventilation in the attic. This leads to moisture getting trapped between insulation and the roofing panels. When the attic gets too hot, the heat generated from under the shingles can cause them to become curved as well. Another accepted reason is that when shingles get old, their corners turn up and they start becoming wavy. Our experts suggest that age of the shingles is more of factor than a hot attic when it comes to cupping or wavy shingles. The best solution if you spot wavy shingles on your roof: contact a professional roofer. If homeowners ignore this, the problem will only get worse and more expensive to fix. Black stains on your roof point out that there is algae growing on your roof (shingles). While it may not be a huge contender among signs of leaking roofs, it does have an unpleasant look to it. Who would want algae growing on their shingles, right? Power washing might solve the problem temporarily, but it might wash away the granules on the shingles. That is not a good solution. The solution to this is simple. Our experts recommend placing zinc strips near the ridge of the roof. These strips release a fungicide when it rains. That can kill the algae growing on shingles. Another recommendation our experts suggest replacing homeowners existing shingles with algae-resistant ones when it’s time to re-roof.